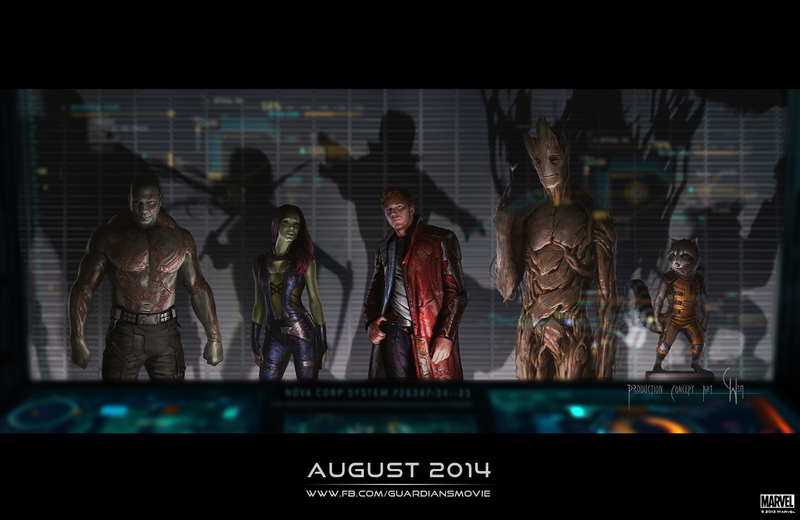 Last Monday, hot on the heels of SDCC and Disney’s D23 convention, a slew of teases for new Marvel movies hit the Web. You could see a good portion of the impressive Guardians of the Galaxy sizzle reel, a clip from Captain America: Winter Soldier, two Jane Foster-heavy scenes from Thor: The Dark World, six minutes of The Amazing Spider-Man 2, as well as the first trailer for X-Men: Days of Future Past if you were quick enough. All of it was filmed through the shaky, illicit eye of camera phones and uploaded to the Web without the approval of the respective studios. And I watched every bit of it. It’s been the policy of this website to acknowledge but not directly link to this kind of stuff, because it’s morally grey (or just straight-up morally black if you’re on the studios’ side). However, that didn't stop me from watching all of those clips I mentioned above. What does that say about my ethics? It’s important for the sake of this regular column that I stay up to date with what Marvel’s planning, and with other obligations keeping me away from SDCC and D23, it’s easy to justify watching the bootleg footage immediately as “part of the job.” Greater than that, though, is that I’m a fan. That’s why I write about Marvel movies. Even if it didn’t apply to my work here, I know I’d watch the “shaky cam” trailers anyway. And, hey, I didn’t film it! But does that make it right? I don’t know if I can answer that. Obviously, the studios use these early looks at their blockbusters to add a feeling of immediacy and exclusivity to the conventions at which they appear. You paid for a ticket to the show, and they’re going to give you something worth talking about. You’re explicitly instructed not to film the proceedings, and, from my understanding, filming trailers and uploading them to the Web falls under the same type of copyright violation as filming an entire movie does. The content belongs to the studio, and it’s the studio's to disseminate as it wishes. On the other hand, we’re talking about advertising, the entire point of which is supposed to be getting things in front of people’s eyeballs for the purposes of making a sale. Shouldn’t studios celebrate their leaks or be more enthusiastic about releasing this convention footage online? Every bootleg trailer that’s viewed is one more impression on a potential audience member, and they know that an exciting trailer can build anticipation and word of mouth. Marvel’s Guardians clip wowed the convention circuit, but director James Gunn has confirmed that the SDCC trailer will never be released to the public, nor was it ever intended for release to the public, since it was cobbled together after just over a week of shooting (the director also joked via Twitter that the footage was fake--a hilarious response that he ended up deleting in case people didn’t get the joke). In this case it might be “unfair” to judge the film by this early footage, but then why even give people and attending press that first impression in person if it’s too rough for public consumption? This all returns to the idea of exclusivity and the studios ultimately having the say in how this content is controlled. And that’s totally fair. We’re not entitled to it. For me, I’m still weighing how I feel about trailer leaks, which is why I’m opening the topic up to you, readers. Speaking strictly for myself, I know that it’s wrong to watch the bootleg trailers, but I do it anyway (I don’t do it with bootleg films, by the way, lest you assume I’m advocating watching any and all bootlegged material). I’m not so comfortable with doing things that I feel are wrong, but I don’t know if I regret salivating over that Guardians of the Galaxy footage. It was really, really cool. The question that’s been plaguing me all week is whether it was cool enough for a moral compromise or if people even consider leaked ad material a moral compromise. It’s not like we’re going to be starved for advertising material when these movies are close to release. We’ll probably be drowning in it by summer 2014 so why can’t I just be patient? It’s tricky. I sincerely want to know: what’s your take on bootleg trailers?